Nearly nine months after the 2011 season ended with Alabama walking off of the field at the BCS National Championship Game holding the crystal football high, the Crimson Tide return with a bang, leading our first set of simulated BCS rankings convincingly and almost unsurprisingly. The Tide completely dominated previously top-10 Michigan on college football’s inaugural weekend of 2012, opening up the season in a way that a defending national champion would be expected to. On the strength of that victory, and strong hype heading into the season, the Tide enjoyed wide-spread praise from the polls available, and sit comfortably atop the simulated BCS rankings after the extended first weekend of the 2012 season. LSU takes the No. 2 spot in an eerily similar situation that ended the 2011 season, with the two SEC teams leading the way. 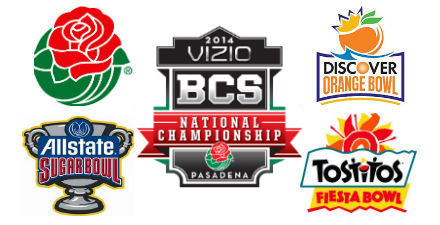 USC, which enjoyed a similarly easy victory over Hawaii, is in at No. 4 after losing some support in both the AP and Coaches’ Poll by not playing the caliber of team that the Crimson Tide were able to decimate and lacking in the computer rankings available. No. 3 Oregon and No. 5 Oklahoma round out a top five of teams already well within striking distance of the top two spots should things get unpredictable come the midseason or later, as they tend to do. These simulated rankings are not necessarily the most accurate in terms of reflecting the actual components of the BCS, but they do give an interesting look into the future. We took a computer aggregate without eliminating any of the three available to keep extra transparency, but kept the formula for the human elements intact. On the strength of their victory over previously top-10 Michigan, Alabama claims the No. 1 spot in the first USA Today Coaches’ Poll of the 2012 regular season. USC, after toppling Hawaii in resounding fashion, takes the second spot, bumping LSU down to No. 3 from their preseason perch as No. 1. Oregon and Oklahoma round out the top five. The Ducks received a lone first-place vote, while Alabama (37), USC (14) and LSU (7) collected the rest of the 59 first place ballots from the coaches. When South Carolina’s quarterback Connor Shaw injured his shoulder, forcing him into the locker room, the Gamecocks were more than allowed to feel a little fear. But any worry that Shaw might have created for the Gamecock faithful disappeared as a result of the performance Marcus Lattimore was putting on against Vanderbilt on college football’s opening night. Lattimore rushed for 110 yards and two touchdowns against the Commodores defense, providing just the right spark for the Gamecocks to outlast a very game Vandy squad. In the 17-13 South Carolina victory, Lattimore provided the offensive weapon the Gamecocks needed all game, and when Shaw returned in the second half, it was the threat and usefulness of Lattimore that allowed South Carolina to escape an upset bid. All in all, a good start to Lattimore’s 2012 campaign. Though Montee Ball wasn’t a show stopper — and his team didn’t put on a show-stopping performance against Northern Iowa — Ball was effective and impressive enough Saturday to give his Heisman candidacy the start it needs in this long-haul of a season. Ball rushed for 120 yards and a score on Saturday against the Panthers, and added 31 yards receiving to put himself just over the 150 mark for the day. Ball and Wisconsin will need stronger showings against the strong defenses to come, but given their prowess last season against Big Ten defenses — with Ball proving key — it’s safe to expect big things out of the Badgers and Ball in 2012. Matt Barkley’s first pass Saturday went for 75 yards and a touchdown. It was that kind of day for Barkley and USC in the Trojans’ 2012 debut. Barkley finished the game with 351 yards and four touchdowns, picking up just where he left off in 2011 — a year that saw him break a handful of Pac-12 and USC records. Barkley ended up sitting a significant part of the game after USC had run the score to a good distance, as back up Max Wittek got some snaps. Barkley and USC will head out to the east coast next to meet Syracuse, which will give Barkley another shot at putting up some impressive numbers early in this Heisman race. In wasn’t ever close in Morgantown on college football’s opening weekend, and Geno Smith had a lot to do with it. The senior’s 323 yards and four touchdowns passing helped West Virginia crush Marshall in its opening contest, and started Smith’s campaign for the Heisman with a bang. Smith also grabbed 65 yards on the ground and added a rushing touchdown to showcase just how big of a threat his arm and feet are against defenses. Certainly no one on the field shone as brightly as Smith, who will next get to flex his dual-threat attack against FCS James Madison. If Smith can collect a big game there, he could be well on the way to being in this conversation for the long haul. Michigan State’s Le’Veon Bell may have been somewhat under the radar coming into the 2012 season, but his performance during college football’s opening week likely changed that for good. Rushing for 210 yards and two touchdowns in a nationally televised, Friday night showdown with Boise State, Bell squarely placed himself in the early Heisman conversation with one of the weekend’s best performances. Bell was a dark horse Heisman candidate coming into the season following a 2011 where he collected nearly 1,000 yards on the ground and more than 350 yards receiving for a Michigan State team that was part of the national conversation all season. With a victory over the top-25 ranked Broncos to start their season, it looks like Sparty — and by extension Bell — will be around for the long haul this year. Oregon’s duo of athletes had themselves a couple of games against Arkansas State. But their dual production somewhat diminishes from the personal achievement. Can either break out as the star? A rough start to Robinson’s much-hyped campaign for a Heisman against Alabama has probably set him back significantly. Can he recover? With no way to fully immerse ourselves in BCS rankings until well into October, what could be better than a slate of simulated BCS rankings after just one week of college football action? 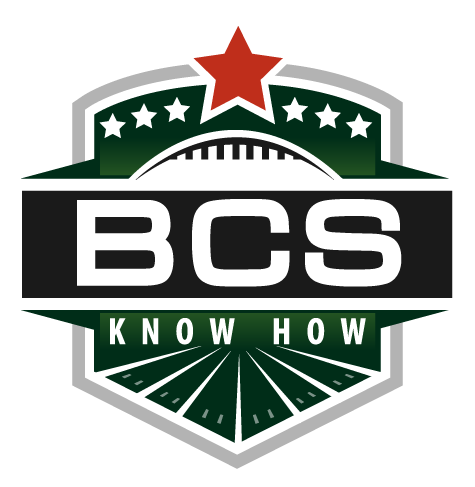 The methodology of the BCS Know How simulated rankings is slightly different than normal BCS procedure — mainly because of a lack of full-scale components. 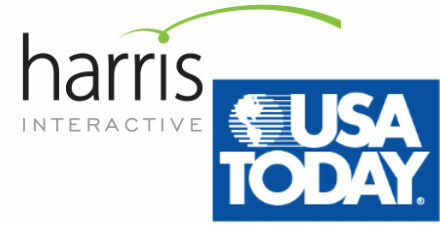 For starters, there is no Harris Interactive Poll quite yet, and two of the six computer ranking systems, the Anderson and Hester system and the Peter Wolfe rankings, are not operational while Colley’s Matrix has been slow to update. For the time being, we’ve substituted the AP poll for the Harris, and will include the three available computers — Sagarin, Massey and Billingsley — in the simulation. This early in the season, there’s little need to zero out a computer, it would only cloud the picture of this process. A few early surprises include LSU taking the top spot away from Oklahoma and Alabama on the strength of their computer rankings, as well as the already strong showing from Boise State. Oregon takes a hard tumble after its loss to the Tigers, while their Pac-12 counterparts Stanford stand strong at No. 5. A few weeks still separate us from the first Harris Poll and the first BCS rankings, but until then, feel free to stay updated with our simulated BCS rankings every week until the actual BCS rankings are released. LSU, Oklahoma and Alabama already place themselves way ahead of the rest of the field, already a good sign for these preseason favorites. Boise State is all alone in the .8000 range, positioned well for a chase at the title moving forward this season. Stanford also seems entrenched in the No. 5 spot for now. After the Cardinal, however, there are plenty of teams all bunched together. Don’t be surprised if next week’s rankings look quite different. If Colley does release this week, I will update these rankings.